3. The masseuse who spun my legs around in the air, while not keeping the “modesty sheet” in tact. That was awkward, and was the first time in a 90-minute massage, that I asked to be “paroled” at around 65 minutes…and not a minute too soon. 4. The small, female masseuse, who climbed onto my back…yes, Onto my back. She stayed there for about 15 minutes kneading my back. Not sure what else to say. 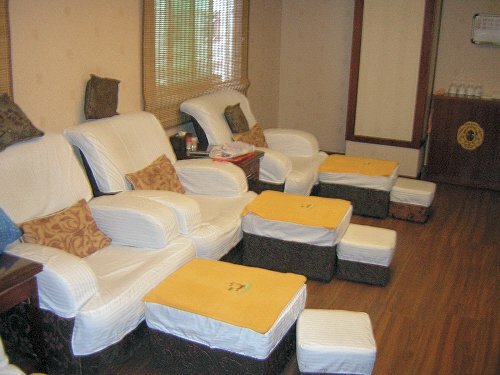 Foot Finesse… a $28 hour-long foot, back, neck, arms and leg massage… you lay in a lazy boy chair, facing up first, and have your neck and shoulders done, then about 20 minutes on the feet. You flip over, in the chair, and they concentrate on your back, neck and back of legs (and gluts)… You are fully clothes, except for shoes and socks…and for $28, you Cannot beat it…The one I go to is in Schaumburg, and I will be a return visitor. Many times. They don’t have a website (which in this day and age, isn’t the best business practice, but I will forgive them, because they are fabulous), but google and see if they have one in your area, because they have franchises all over. And Enjoy!! Reduced monthly rates for family members – though not for Meredith, which is where my happiness level quickly diminished. Guest passes – won’t be using those anymore! Unfortunately, when I brought Meredith with me, they charged me $79 for her 50-minute massage. I found that to be in very poor form, seeing as she is a family member. I brought it to their attention, and they said, “that’s the price”, so I have now cancelled that membership – and can go twice to Foot Finesse, for the price of one massage at Massage Envy. I’ve had fantastic massages at Massage Envy, but this just goes to show you, that even the most loyal customers can leave. They had sent a survey, via email, right after Meredith and I went for massages, and I promptly filled it out, and indicated that I was unhappy being charged $79 for my teenage daughter, and indicated I may drop my membership…and NEVER heard back. That is extremely poor customer service and follow up…hence, they lost this loyal customer. But Oh Happy Day…Hello Foot Finesse…you now have a new, loyal customer. Wow, never heard of that place but will definitely check it out! Is there soft, relaxing music too? Your stories are hysterical and all the puns were appreciated. Oh Terry, only you!! TGIFF, and thanks for the laughs. Nice way to start the day. Makes me really want a massage now!! What is it with all these crazy things happening at your massages?? Is that typical? ohh that place sounds great. We should do a girls night. 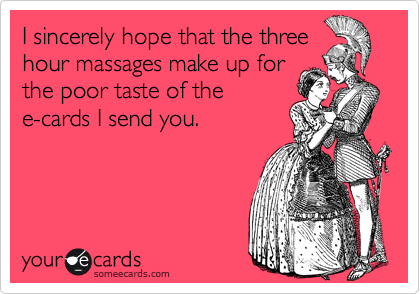 And, don’t you think 1 1/2 hour massage even isn’t long enough. 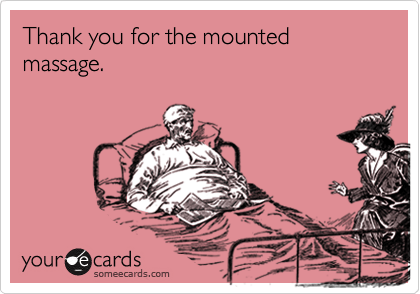 Sorry to hear about your trouble at Massage Envy. Still love my membership and Peter has now joined. Have had many foot massages and they are the best.